Home F1 Techeetah and Haas's design: "Can I copy your homework?" Techeetah and Haas's design: "Can I copy your homework?" The Formula E team jokes on 'Twitter' with the great resemblance between its colors and the new ones that the Americans have presented. Confirmed. Rich Energy, the new principal partner of Haas, has radically changed the design of the American team. 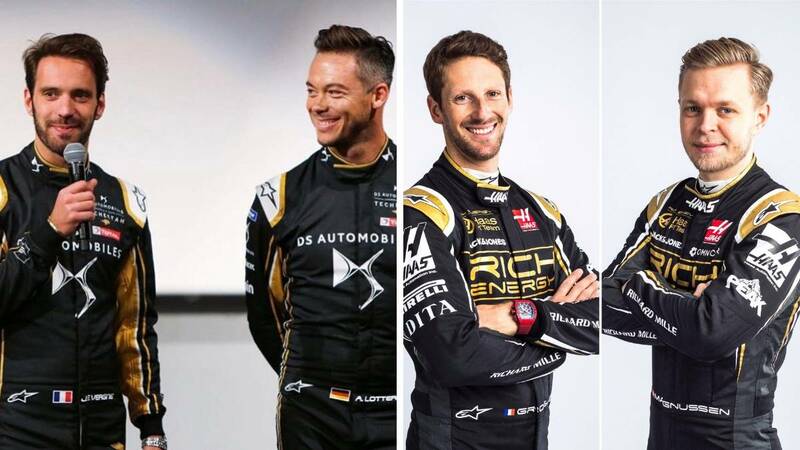 The gold and black colors that identify the brand of energy drinks have taken over monkeys, clothes, logos and, of course, the cars of Magnussen and Grosjean. This has been shown in the act of presentation of the VF-19, the first car of 2019 that can be seen. An elegant design that can remind other old Formula 1, such as Lotus, or other more current, for example, the E.
-Friend: "Hey Can I copy your homework? -Me: "Sure, just change it a little so no one notices"